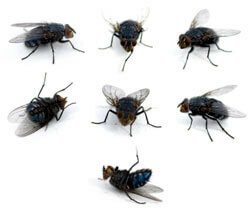 Cluster Flies are relatively harmless and should not be confused with the disease-carrying housefly. However, they are awkward, noisy and their flying habits are slow. Cluster Flies do not carry disease and they are not typically harmful to humans, although their presence can be disturbing. Seeing dozens to hundreds of flies gathered on a window is indeed cause for alarm. Cluster Fly Killer Kits contain all the necessary products required to control a cluster fly infestation. They offer a three staged attack against these annoying, flying insects, by combining the protection of a long-lasting residual spray, the deep penetrating power of a smoke generating fumer and an insect killing powder dust that can be sprinkled where cluster flies like to congregate. Insecticide sprays are the most common method for controlling Cluster Flies in and around the home. Most cluster fly killer insecticides contain strong active ingredients such as Permethrin, Tetramethrin or Cypermethrin. For best results against cluster fly infestations, we recommend using a spray with a quick knock-down together with a long-lasting residual spray for a combined attack. Cluster Flies don't carry diseases, but they are no less annoying with their habit of clustering together in large numbers. One method of controlling these flying insect pests is by using powders or dust that can be sprinkled on surfaces where cluster flies like to congregate. Some powders are natural, and are insecticide free, making them ideal for use in chemical sensitive areas such as kitchens. Cluster flies like to congregate in their hundreds in loft spaces. Smoke generating fumers and foggers are the ideal product for eliminating cluster flies in this environment. Once set off, the fogger or fumer will release a powerful insecticide smoke or mist into the atmosphere, penetrating the hardest to reach places in your loft space, killing all cluster flies in its path. 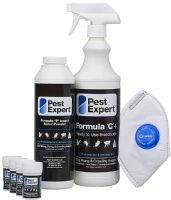 Pest Expert Formula 'C+' Cluster Fly Spray kills cluster flies fast and leaves a residue that offers long-lasting cluster fly control. This ready-to-use insecticide is safe for direct application to alighting surfaces including window frames and roof timbers. 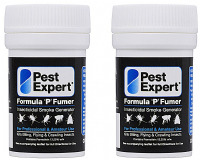 A 5L container covers 100 sq m.
Pest Expert Formula 'P' Super Fumers are cluster fly smoke bombs for fumigating cluster fly infestations. The permethrin smoke is ideal for getting rid of cluster flies in lofts, roof spaces or other areas of the home. One Super Fumer is sufficient to treat a standard roof space in a 2-3 bedroom house. 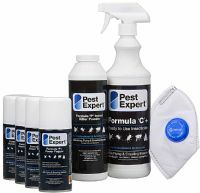 Pest Expert Formula P Cluster Fly Powder is a powerful permethrin dust which kills cluster flies. 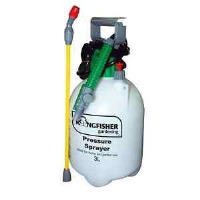 Supplied in an easy-to-use puffer pack to enable precise application to alighting surfaces including window frames, roof timbers and areas where a water based spray is not feasible. 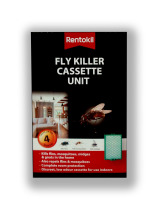 Rentokil Insectrol Cluster Fly Killer Spray can be used as a direct knockdown spray against cluster flies and other flying or crawling insects. When applied directly onto insects the potent active within the Insectrol Spray achieves rapid knockdown whilst also leaving a protective barrier which helps maintain long lasting cluster fly control. Perfect for targeting hard-to-reach cracks and crevices where cluster flies may be harbouring. Kills flies, wasps, mosquitoes & other annoying flying insects. Provides up to 4 months protection in a average room. Kills cluster flies and other crawling and flying insects by physical means, without the use of chemicals. Professional Use Only. 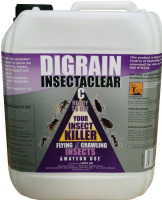 Dual action Cluster Fly & insect killer combines instant knock down, with long lasting protection. The strongest amateur approved cluster fly killer spray on the market. Lasts for up to 12 weeks after being applied. The strongest amateur approved cluster fly killer on the market. Lasts for up to 12 weeks after being applied. Protector C is an insecticidal surface and space spray, which kills cluster flies & other flying and crawling insects. A simple fogger device, once set off will kill all cluster flies in the room, including in hard to reach cracks & crevices.